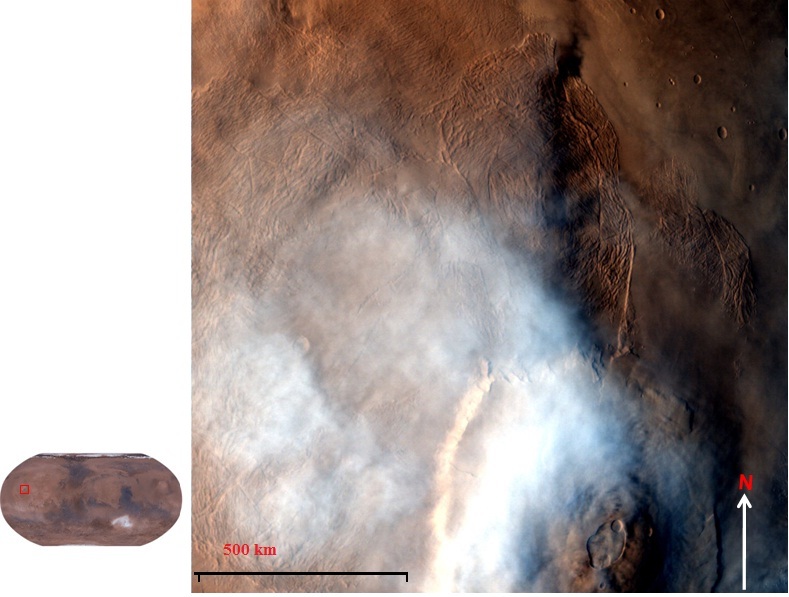 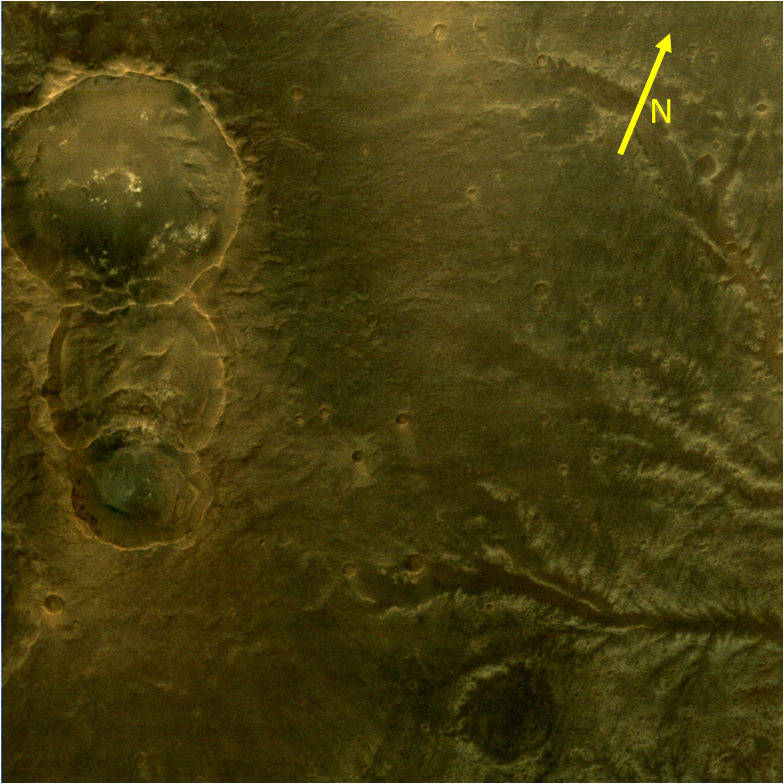 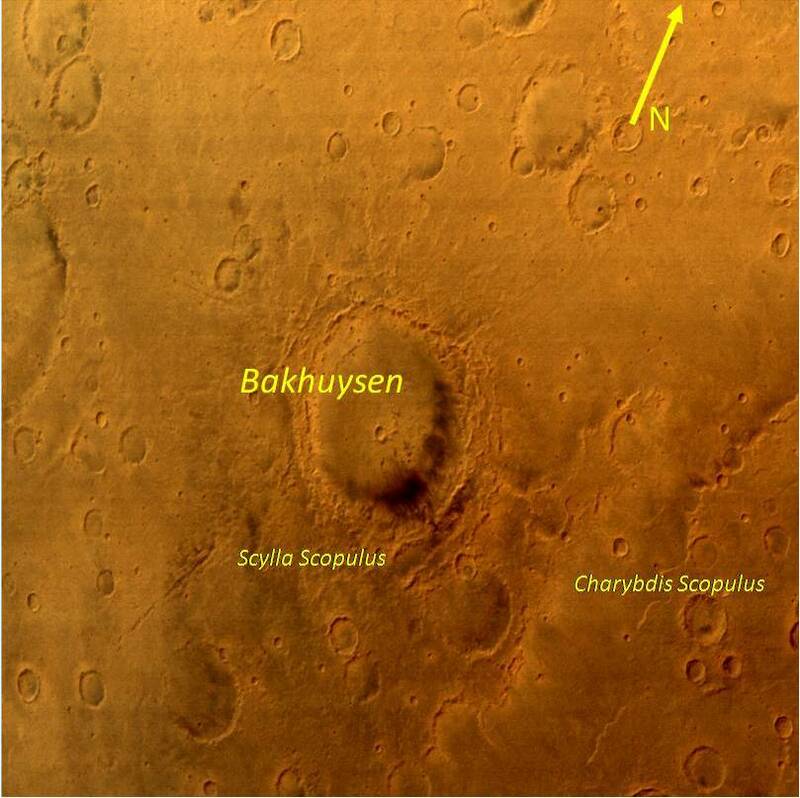 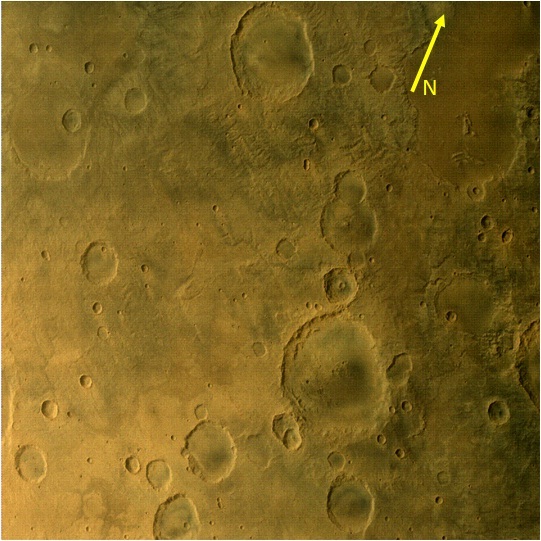 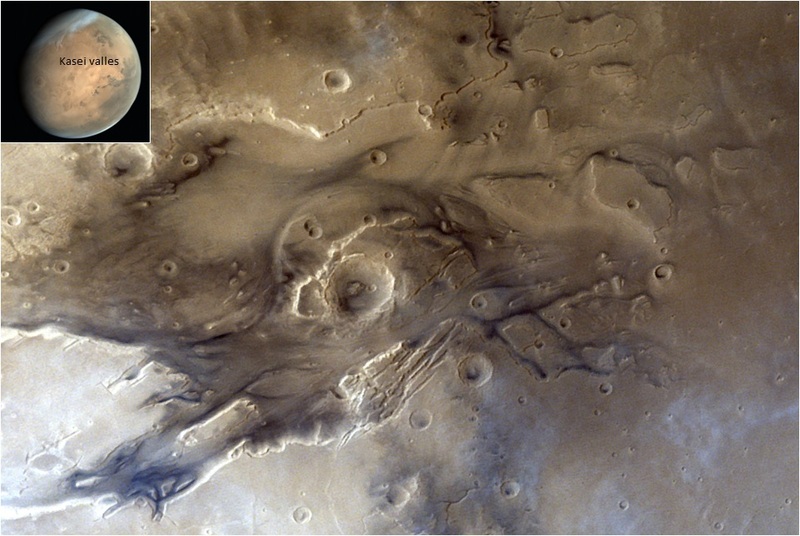 This image covers about 393 km x 393 km area with 140 m per pixel resolution in Tyrrhenum quadrangle of Mars, having Mueller impact crater in the bottom of the scene. 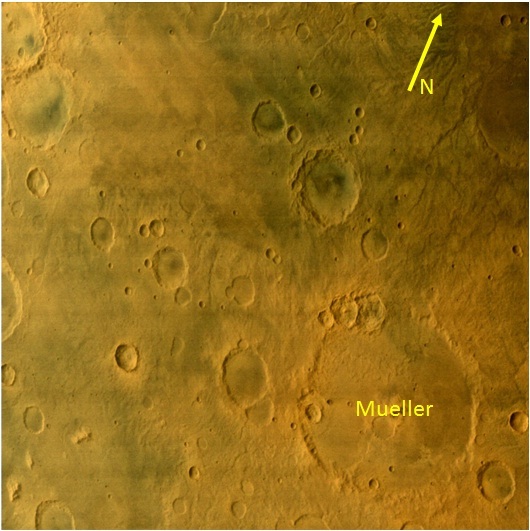 Mueller is a 120 km wide crater. 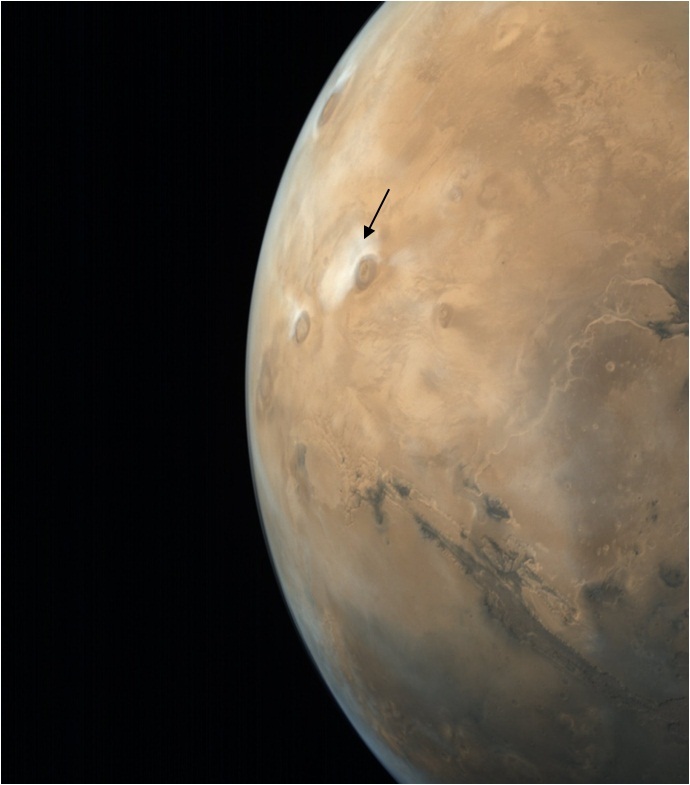 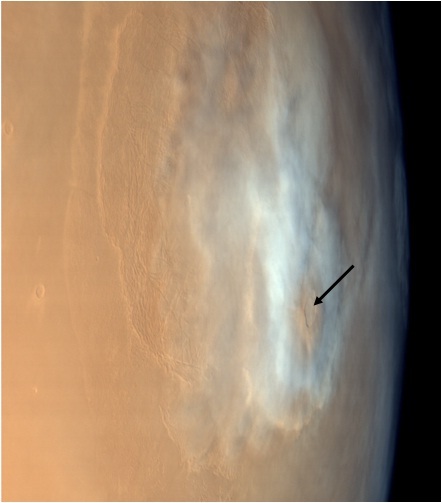 This MCC image was taken on March 15, 2017 from an altitude of 2812 km. 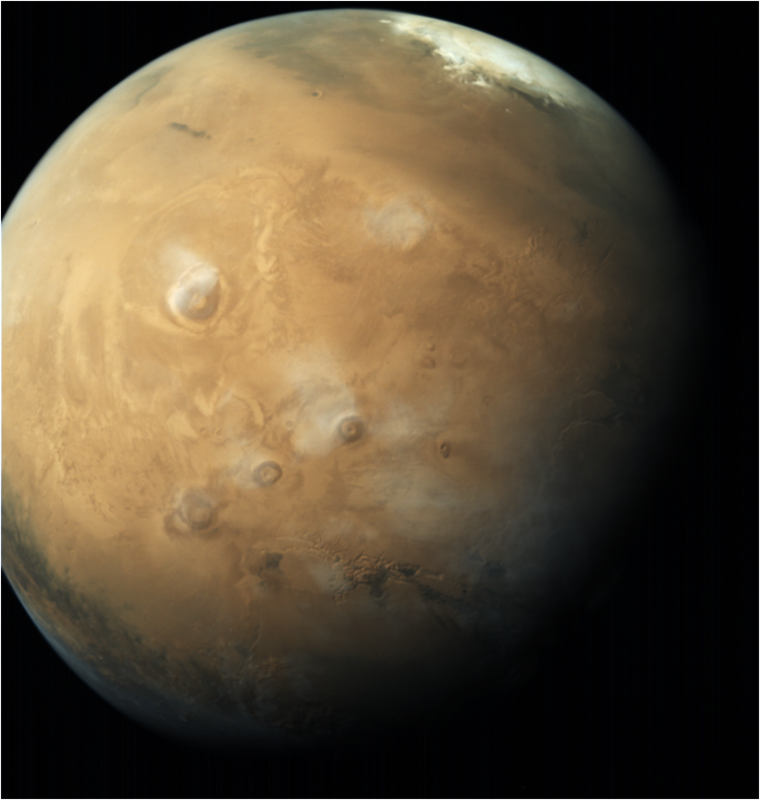 This RGB image has been color enhanced/local contrast enhanced for better visual appeal. 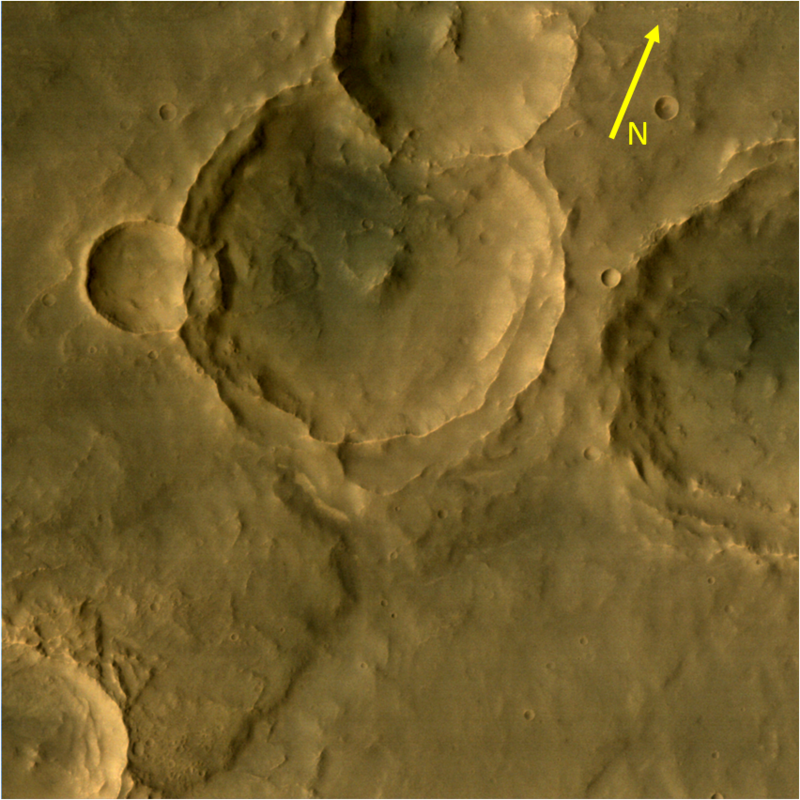 Few cat footprints look alike patterns carved by crater locations of small and giant sizes can be imagined with this picture.